If you are reading this, chances are that you are among the 80% of Android smartphone users worldwide. Indeed, Android has stamped its authority as the most popular smartphone operating system worldwide and most likely; this percentage will only increase if its ease of use is anything to go by. For a long time now, data management has been the main headache for most smartphone users hence explaining the upward trajectory in Android file manager Mac software. For Android devices, there are indeed a number of quality programs you can use but it is worth noting that only a few are effective. That said, let’s have a look at the top 5 Android file manager software for Mac. If you are looking for the safest file management tool to transfer your photos, music, apps, videos and any other form of data between different operating systems (such as from iOS to Android), iSkysoft Toolbox - Backup&Restore (Android) would be in your best interest to install this program on your PC. You may be upgrading to a new phone and probably, need to transfer the data on your old device. This tool will not only transfer your files safely, but in authentic fashion where the data transferred is 100% similar to the original. 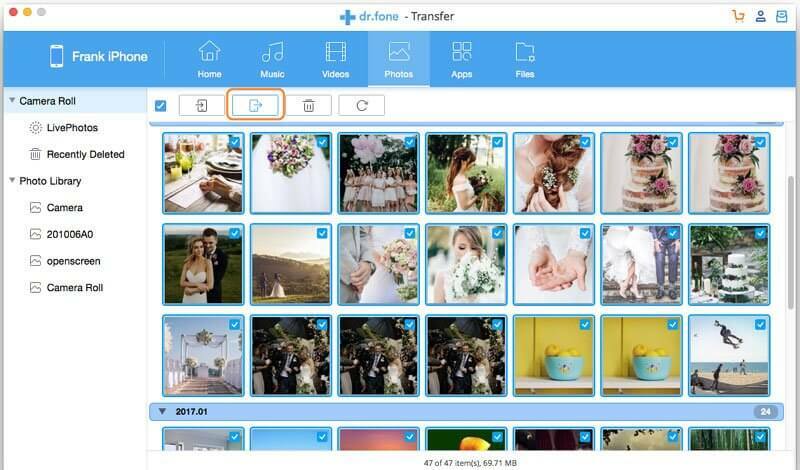 Allows you to transfer major files including music, videos and even contacts from Android devices, to iOS devices or Mac just to name a few. Backs up all your phone contacts from Android devices, iOS devices, and Windows devices to Mac. 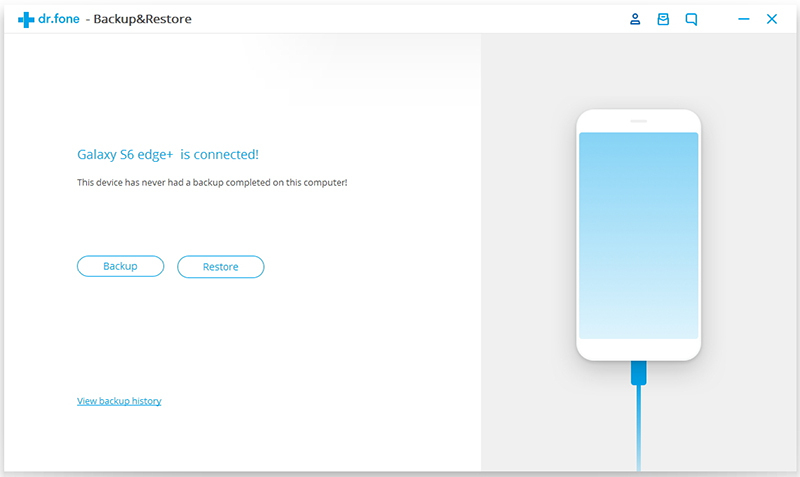 Restores files including music, photos and videos in your device, or on iTunes and iCloud backup right back to your Android phone. 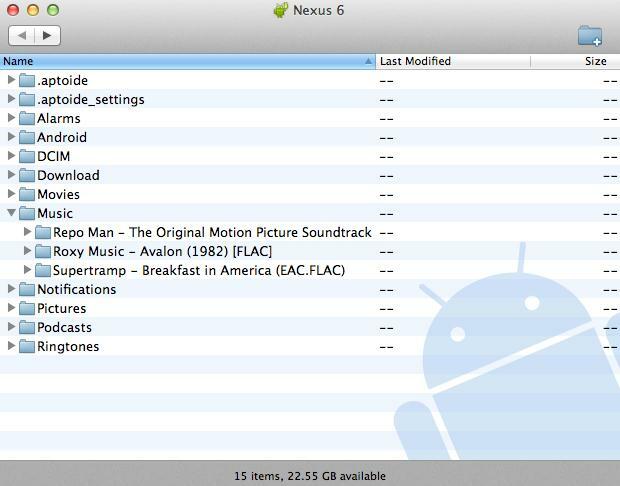 Allows you to transfer your iTunes library to your Android device. 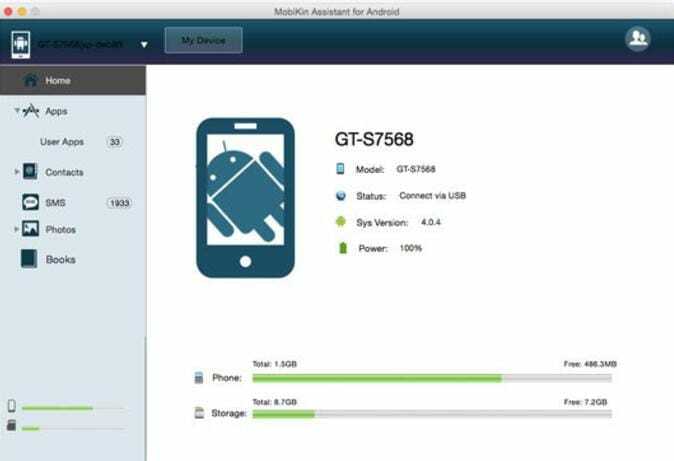 If you are wondering whether your Android device has an app designed for data manipulation – well actually there is. 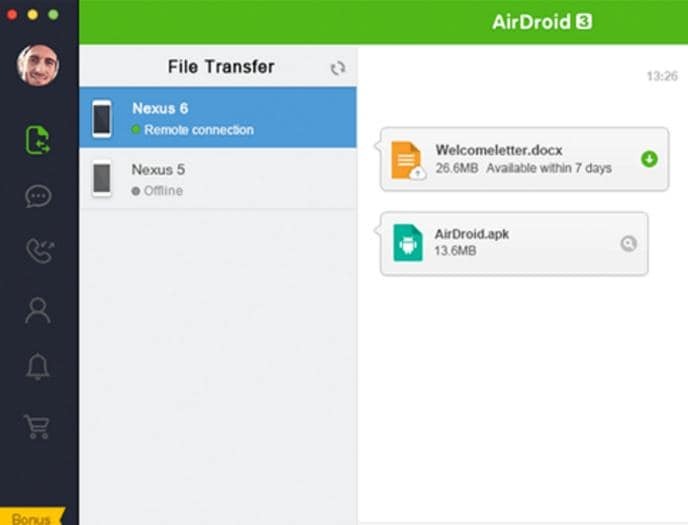 Android being the leading innovator it is; saw a need and sought to fill the vacuum by launching the Android File Transfer software to help smartphone users manipulate files in simplistic fashion. •Easy to install on your Android device. 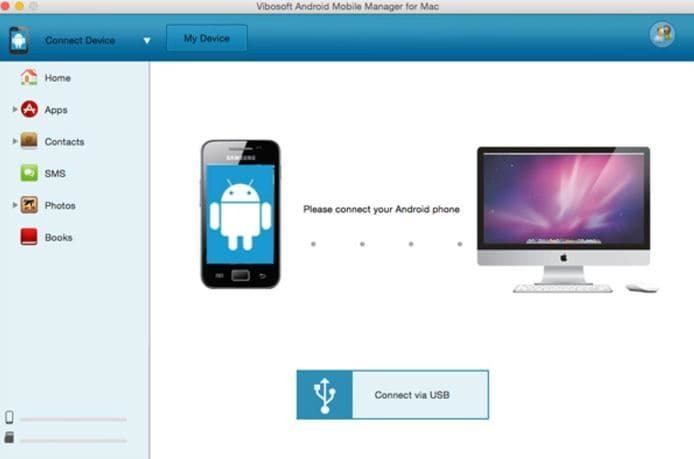 •Allows the user to transfer files from their Android device to Mac PC and vice-versa. 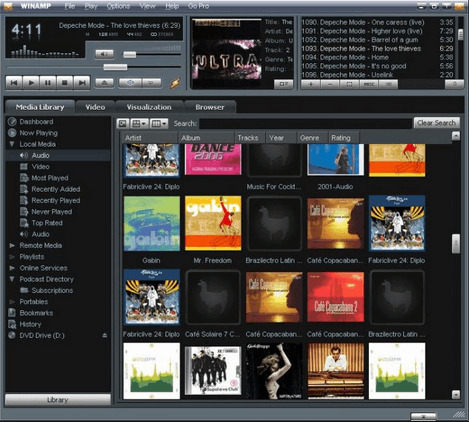 •Sports a basic, user-friendly interface that is easy to use. •Runs in the background without interfering with what you are doing on the device. Remote for iTunes proves to be a versatile App with so many features that aren't listed above. •It has a caveat set at 4 GB meaning you will have to find another tool if your main goal is to transfer huge chunks of data such as movies. •Ideal for small-file transfer applications and can be tedious in the case of huge data transfers. This program is probably one of the best Android file manager software on the market mainly due to its distinctive and innovative features; that allow you to not only access your device’s data on a Mac, but also edit the data with ease. For instance, you can access the messages or contacts on your Android device from your Mac using a number of software but only this app can allow you to add, edit and delete this info at will. Let’s have a look at some of the benefits pegged to using this program. •Allows you to transfer all your files and data from Android device to Mac computer as it is with full info including the dates. •Allows you to back up essential data such as contacts and messages from Android phone to Mac without any limitations. •Allows you to directly edit, delete, and add files in your device, on Mac. •Let’s you to organize all apps (installing and uninstalling), on your Mac. •Only manages files in batches meaning you have to select the data you want deleted or added, one after the other. The manufacturer (Mobikin) has always been at the forefront of releasing essential software and the Android Device Manager for Mac is no different. So what exactly can it do for you? Well, let’s have a look. •Allows you to manage and manipulate data on your Mac freely. •Compatible with all android system devices including tabs and smartphones. •Let’s you back up data from your android device to mac without limitations. •Allows you to edit and delete the data in your Android device from the comfort of your Mac computer. •The app is quite basic which serves both as a pro and con. The downside with having such an interface means the file transfer can get quite messy if not careful. For a while now, Airdroid has ranked among the most popular file transfer tools on the market. The latest version allows users to transfer files to and from Android devices, compose text messages from your Mac and even check your call logs among other notifications on the apps in the device. •Allows you to back up and manage paramount data such as text messages, contacts and music files among others. •Sports an innovative feature referred to as Airmirror that lets you view and manipulate your Android device as it is, on your Mac. •Provides users with simple file transfer from iCloud or iTunes directly to Android device or Mac. •Despite the innovative Airmirror app (above) - that lets you see your phone as it is on your Mac - being highly useful, it doesn’t allow you to use the camera, browse through photos or take screenshots.